At Alliance Environmental Group, we have the training, equipment and professional technicians to kill bed bugs at every stage of development--eggs, nymphs and breeding and biting adults--in one heat treatment, safely and without leaving behind nasty pesticide residue. 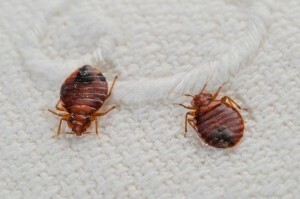 Give us one day and we will take care of your bed bug problem! Wendy Stackhouse is the Online Community Manager for Alliance Environmental Group and AirTek Indoor Air Solutions. She welcomes your comments! For more news and tips or to ask questions of our experts, Like us on Facebook and follow us on Twitter! For updates on indoor air challenges, Like us at AirTek on Facebook! See you next week!